In January of 2017 Beike Biotechnology held a meeting with local officials and the international accreditation center to prepare the Shenzhen Integrated Cell Bank for American Association of Blood Bank (AABB) accreditation. 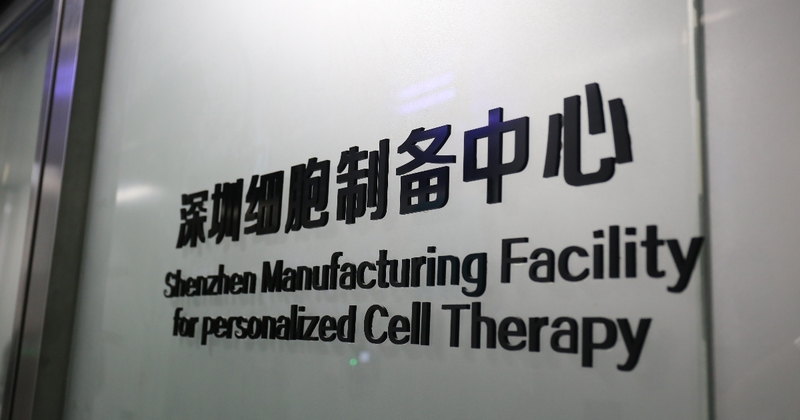 The Shenzhen Integrated Cell Bank s situated on the Beike Biotechnology headquarters campus and will be the primary cell manufacturing center for the south China region. Beike’s Jiangsu Stem Cell Bank, which has historically been the main manufacturing and preparation center for Beike’s adult stem cells received AABB accreditation in 2011. The Shenzhen Cell bank and preparation Center follows the same strict quality control measures and accreditation. – In November, 2015, the preparation for Shenzhen Integrated Cell Bank’s AABB-certified work was officially launched. – On December 15th, 2015, Shenzhen Integrated Cell bank registered for AABB membership and paid the membership dues. – On March 28, 2016, the bank submitted all the certification information to AABB. – On December 8, 2016, AABB informed Shenzhen Integrated Cell Bank, the self-assessment material had been checked, and on-site audit time was scheduled in the second quarter of 2017. All the works were in accordance with the original plan and were completed on schedule. AABB, founded in 1947, is a non-profit international certification organization representing the people and institutions involved in the blood transfusion and cell therapy industry, covering a full range of high standards of accreditation for collecting, handling, storage, distribution and clinical application of cell therapies. The global blood transfusion and cell therapy industry recognizes AABB as the most stringent and the most authoritative and credible international professional qualification. In October 2011, Beike Biotechnology Jiangsu Stem Cell Bank was certificated by AABB on two biological stem cell quality systems of collection, preparation and storage application (cord blood hematopoietic stem cells and umbilical cord mesenchymal stem cells storage application technologies). In October 2013, Jiangsu Stem Cell Bank passed AABB on-site audit. In September 2015, Jiangsu Stem Cell bank passed the AABB second on-site audit. As a high-tech enterprise, Beike Biotechnology is dedicated to promoting the development of the individual cell therapy technology industry. Beike Biotechnology has developed a number of cell therapy technologies in the field of stem cell and regenerative medicine to tackle clinical transformation on refractory diseases. Strict quality management systems are in place and in place to support the clinical transformation of cell therapy technology. AABB certification not only ensures that Beike Biotechnology provides high standards of cell collection, preparation and storage services, but also promotes the field of research results docking clinical treatment and promotes the clinical transformation of cell therapy.